Good day everyone! Today I have an exciting little post for you. I recently teamed up with got2b to bring you 2 really fun hair tutorials on my channel. If you’ve been watching me for a looong time you’ll know I used to be so creative with my hair styles. Then I left school and just got a little bit lazy. So I was so happy when got2b challenged me to recreate two looks from their amazing range of how to tutorials. You can see these here..
Not only did I try out these styles, I road tested them too. I wore this pretty little braid out for lunch with my girlfriends. “Look how cute you are!” was the overwhelming response, which is fine by me. It’s not often a 6’0 woman is referred to as cute so I’ll take it. This was so so easy to create, as you’ll see in the video below. If you know how to do a fishtail braid, you’re all set. If you don’t, no worries I teach you in the tutorial! Firstly, rub got2b Powder’ful volumizing styling powder onto your finger tips and massage into the roots. This stuff is my new holy grail, gone are the days of limp, flat hair. Ugh. To add an extra dimension to the hair, I twist the hair from one side, right above the ear, all the way behind my head to the top of the braid. Once you have all your hair over one shoulder, then you can start braiding. To finish, dishevel the look a bit and add a pretty little bow and you’re good to go. I love wearing this look with lacey material as it really adds to the whole butter wouldn’t melt vibe. More suited for the night time, I wore this elegant pin up look for a candle lit dinner with Eliot. Who commented “I like your hair, you look classier than usual.” -which I’m slightly unsure qualifies as a compliment. But yes, I did feel classy. This style looks mega fancy but requires no more effort than the above style. 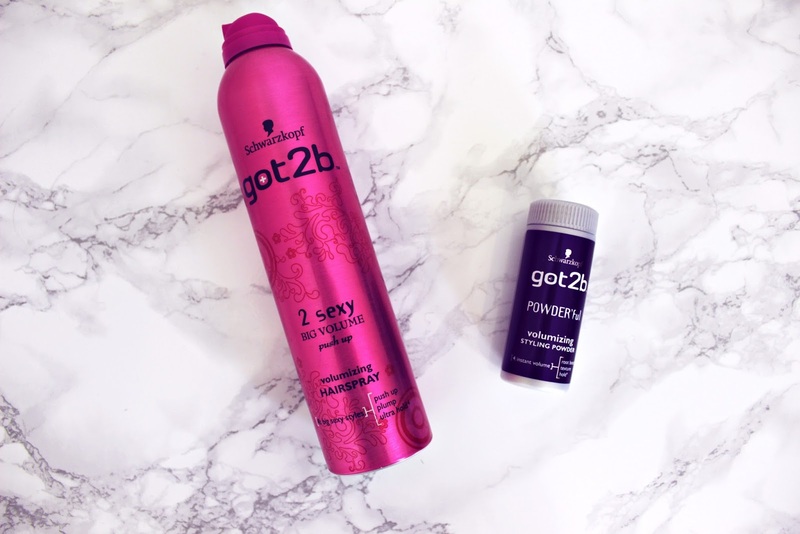 All you need to do is prep the hair with got2b ALLSTAR, dry, and then add got2b powder’ful styling powder for volume. Next, part your hair horizontally across, temple to temple, and then tie into two ponytails. 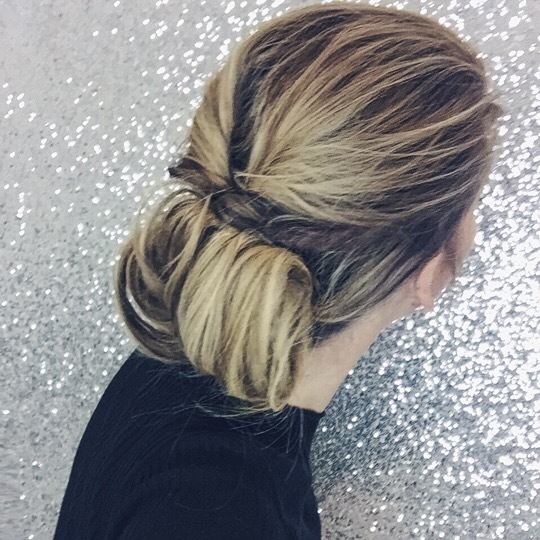 Create a gap above your bobble on the top pony and flip your hair up to fold the hair over. From here you slowly roll up both ponytails together and grip into place. 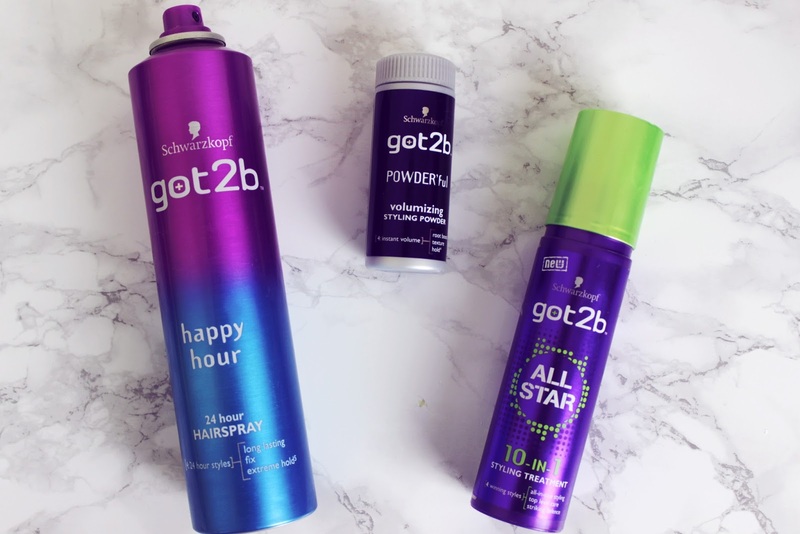 Use your fingers to loosen the roll and finish with some got2b happy hour hairspray to secure the look. I chose to pair this hair style with a campy lip and a subtle smokey eye (one of my fave combos). I tried on a few LBDs with this and a couple of high neck jumpsuits. I feel like this is definitely a look to wear dressed up so you might as well go all out. Or pair with your favourite top, skinny jeans and high heels for a more casual look. I hope you enjoyed this post and my tutorials over on www.youtube.com/hannahleigh let me know what you thought in the comments. Use the hashtag #got2binspire to join the conversation and share hair tips and tricks.